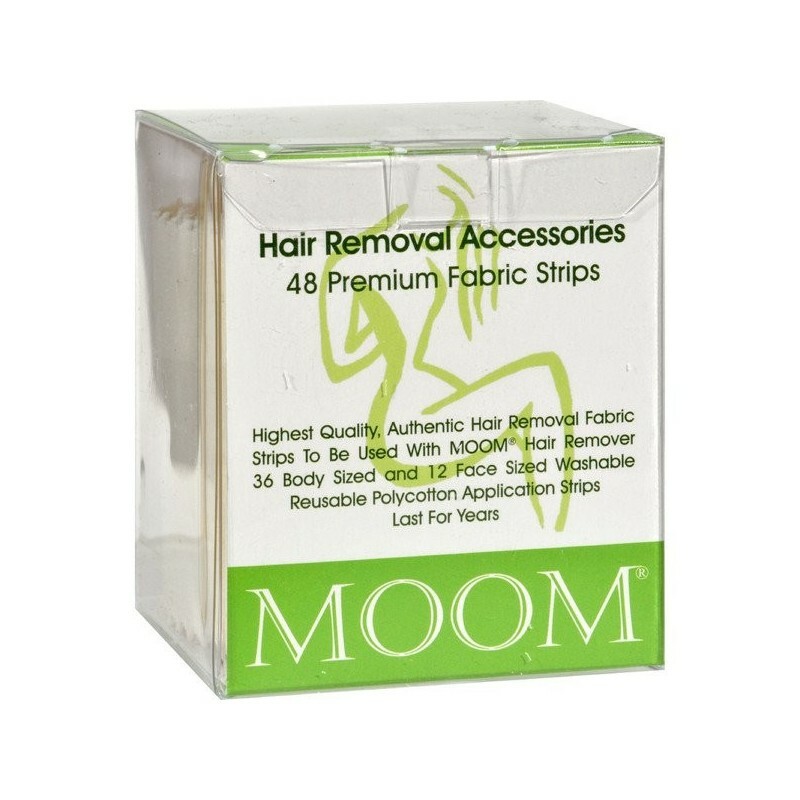 Use these high quality hair removal fabric strips with MOOM Hair Removers. Washable and reusable polycotton application strips that will last for years. 36 body sized and 12 face sized. These fabric strips are washable and endlessly reusable - will last for years. Includes 36 body sized strips, and 12 face sized strips. 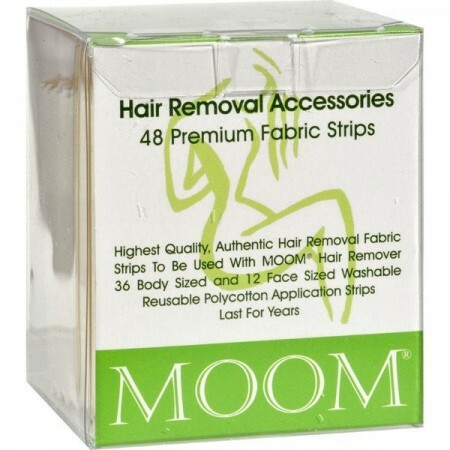 Made with the exact weave required to ensure maximum hair removal. Can be washed and reused for years. Rinse the strips with warm water and air dry. Note: Please do not place in a washing machine or dryer. 48 fabric strips. (36 body sized and 12 face sized). Made from polycotton. Browse all our MOOM products. Love that there's finally a reusable alternative to plastic wax strips!